Bullock Museum presents "Marine Archaeology"
Ever wonder what it takes to unearth a shipwreck at the bottom of the ocean? Join the Bullock Museum for an exploration of the field of marine archaeology with Jim Bruseth, guest curator of the exhibition La Belle: The Ship That Changed History. 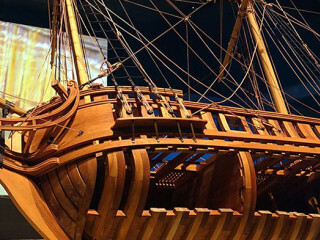 After the program, visit the exhibition with a new found understanding and appreciation of the excavation and conservation efforts that preserved this 300-year old shipwreck.